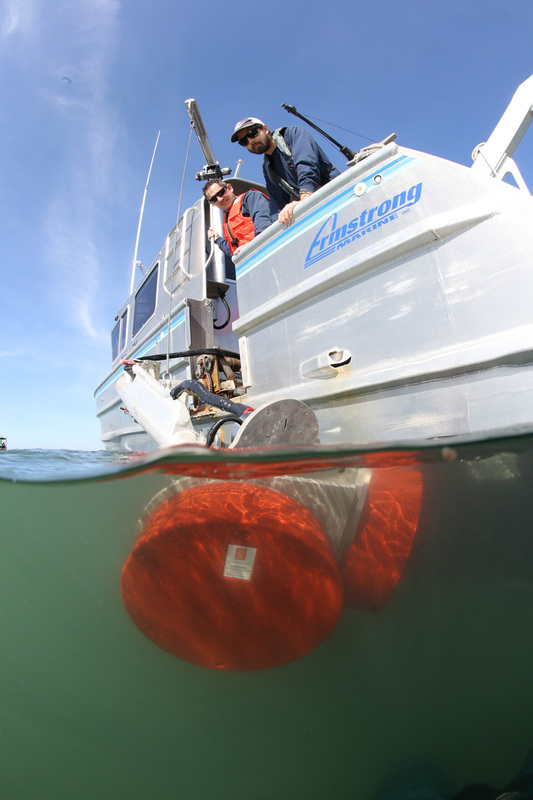 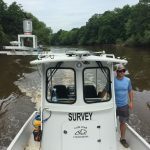 Geodynamics Chief Hydrographer, Dave Bernstein, led NC State University students for a field research day in the study of Coastal Terrain Monitoring and Modeling. 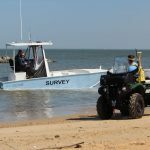 The field day covered concepts, methods and tools for monitoring and modeling of coastal terrain dynamics, with specific focus on the interface between ocean and land. 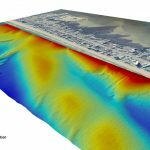 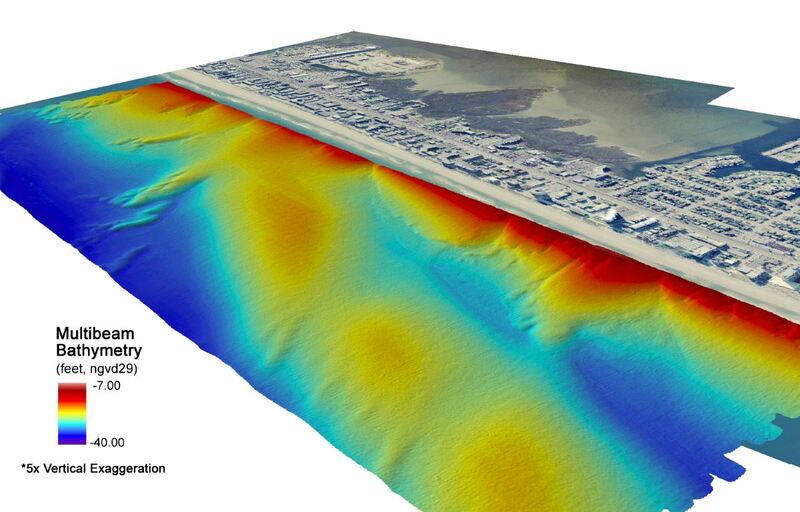 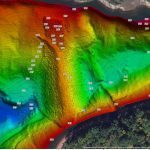 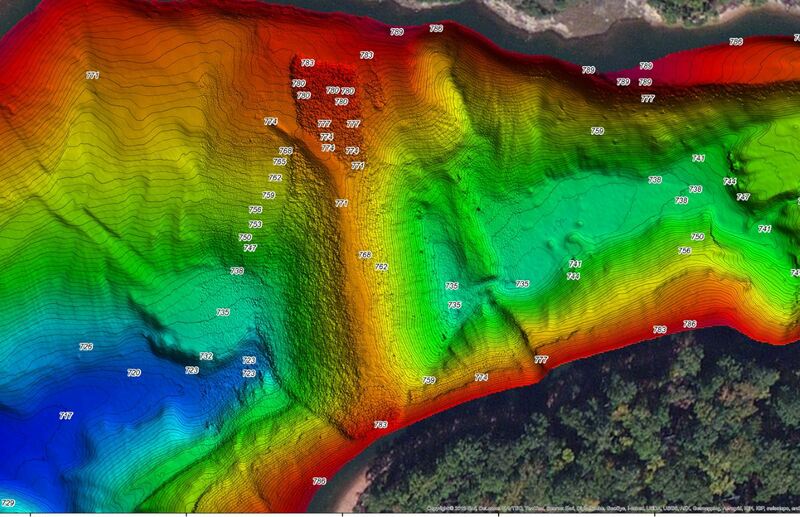 The methods reviewed included bathymetric mapping technologies for shallow nearshore environments, shoreface, beach and foredunes. 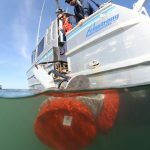 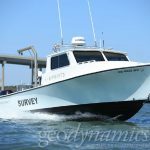 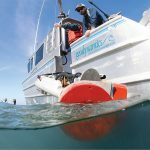 The day also included hands-on practice collecting data in field aboard Geodynamics R/V Echo, demonstration of RTK-GPS for coastal applications, and discussion about surveying platforms and instrumentation for hydrographic, geophysical, and topographic data collection. 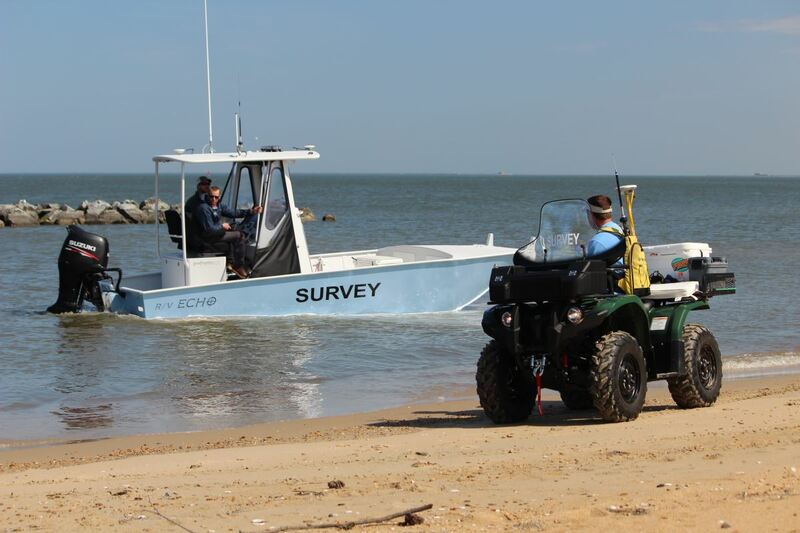 The course Field Investigation of Coastal Processes (MEAS 459) is led by Dr. Helena Mitasova, an expert in spatio-temporal modeling and data visualization and professor at NCSU’s Marine, Earth, and Atmospheric Sciences Department.